If you are a freelancer working for international clients, you’ve probably noticed how much you can be charged per transaction or how much of your hard earned money you lose due to fluctuating exchange rates. The good news is that there are ways you can avoid hidden fees and save a substantial amount on your international payments. Let’s take a look at some of the most popular transfer services and how they can affect your international payments. One of the best things about Paypal is its convenience. It’s a service that can work well for you and your clients and it’s used worldwide. However, what Paypal offers in terms of speed and convenience, it lacks in value for money. Let’s say you work with euros and your client works in pounds. You send an invoice for £1000 and your client pays direct to your Paypal account. The first thing that happens is that Paypal applies its transfer fee. Suddenly that £1000 becomes £960.80 and no currency conversion has actually taken place yet. Then comes the FX phase of the Paypal process. You’re expecting to receive around €1,146.01, but after exchange what you actually receive is €1076.40 – a massive €70 less than what you were hoping to receive. Now think about how much work you would need to do to make €70 and it puts things into perspective. You Know Where You Stand With Flat Bank Fees. Or Do You? It’s true that many banks use flat fees when arranging a bank transfer, but will your clients really want to pay this? These fees start at around £10 per transaction so you may find that your clients charge this back to you or deduct this fee from your invoice total. That’s not a great start. Another problem with bank transfers is the rate of exchange. Banks want to make as much profit as possible on bank transfers and they will usually give you a lower rate of exchange than you can find elsewhere. In fact, with fees and lower exchange rates combined, you could be losing as much as 12% on larger invoices and 6% of your possible income on smaller payments. Could Using A Money Transfer Specialist Be The Answer? If you thought money transfer specialists were just for people buying houses abroad or expats transferring money between accounts, think again. They offer a range of services that could benefit you as a freelancer and help to ensure you get the best value from your international payments. Money transfer companies use the mid-market rate when they convert your payment and what’s more, they will always clearly present their fee and make the entire process easy to understand. 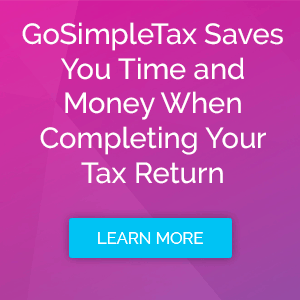 Not only will your payments be much closer to what you were expecting, but you will have a concise paper and calculation trail when it comes around to preparing your taxes. Aviva Tabachnik is an expat and keen personal finance writer. She is Partnerships Executive at MyCurrencyTransfer – an OPP award winning currency comparison site. Recently, she helped launch sister site CurrencyTransfer.com by representing the UK as part of a UKTI trade mission to SXSW, the largest technology show in the USA.